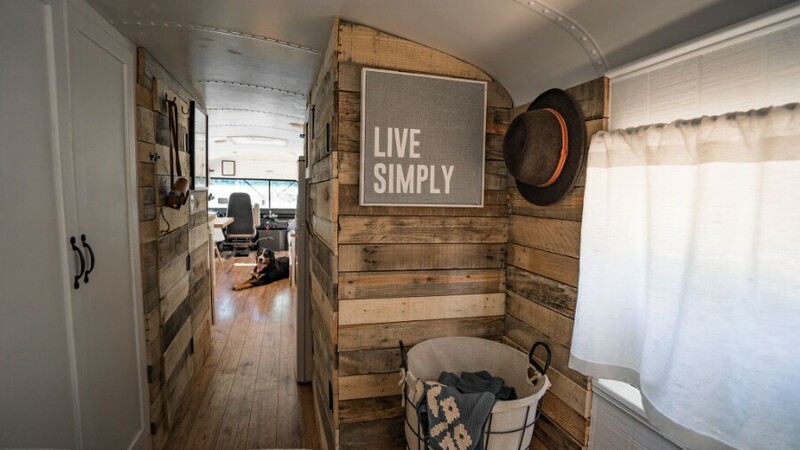 You are here: Home / Tiny Homes / It Used To Be a School Bus … Now It’s a Cozy Loft On Wheels! 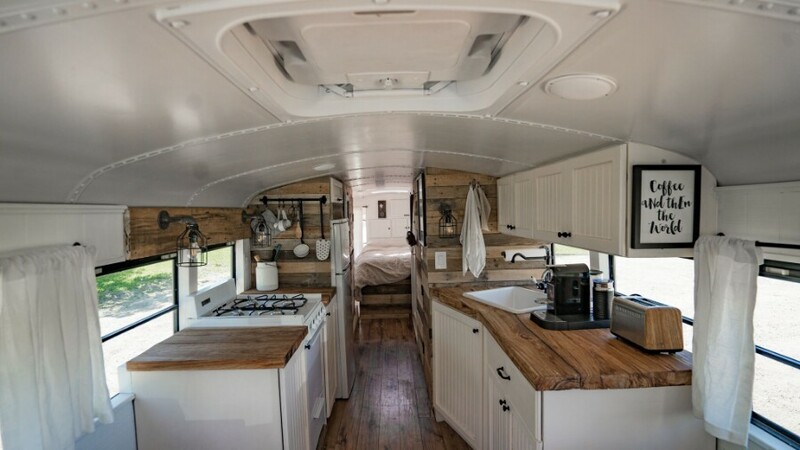 It Used To Be a School Bus … Now It’s a Cozy Loft On Wheels! When most of us think of buying a house, we turn to the real estate classifieds—but not Felix Starck and Selima Taibi of Expedition Happiness. 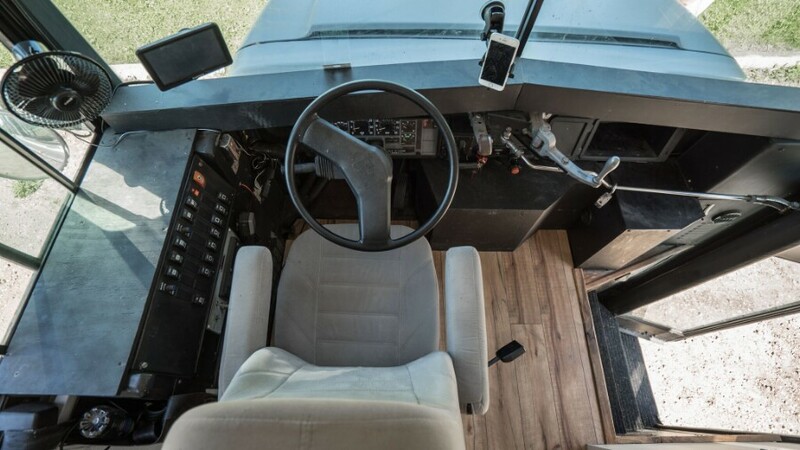 This creative pair instead got online and purchased a 20-year-old school bus. Originally from Germany, they had to hop on a plane to the U.S. to pick up the bus and start working on it. 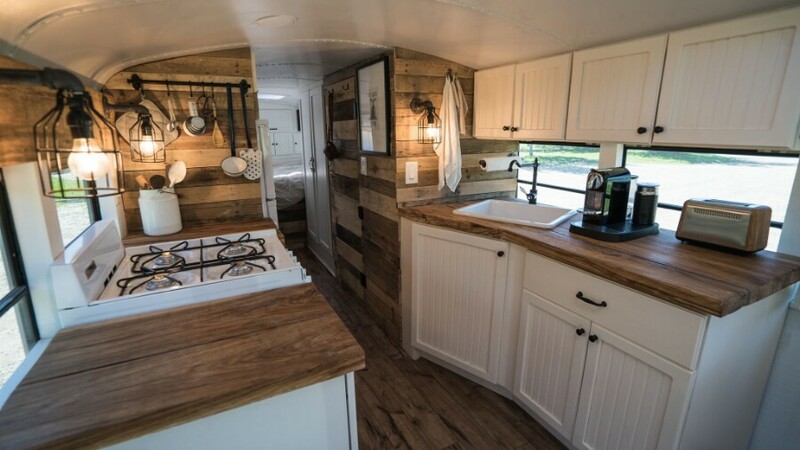 Twelve weeks later, they had completely transformed it into a gorgeous loft on wheels. Let’s take a tour and check out their amazing new abode! 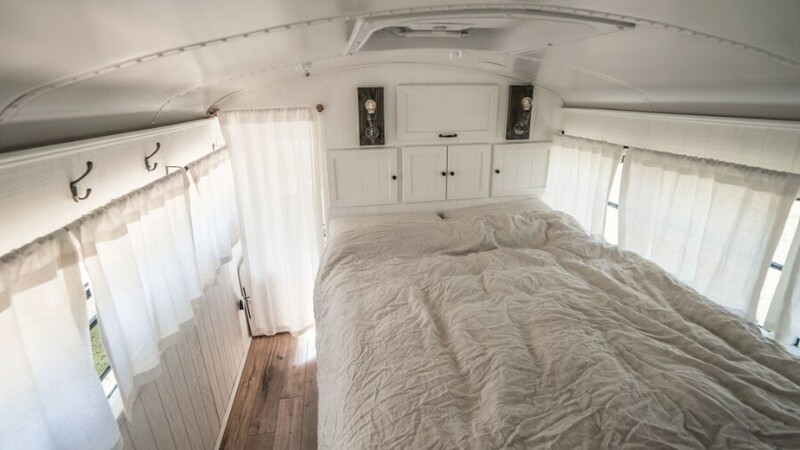 Let’s get started with a broad shot looking toward the back of the bus, which has been converted into the bedroom. Here we can see the kitchen, which includes plenty of counter space and has a very open feel. Here is another shot looking the same direction from a slightly different angle. I’m sharing this photo because I love the ambiance from the lights! And here is another lovely shot of the kitchen where you can see the breathtaking view out the windows! I love this photo because it puts a context on the idea of having a home on wheels. A lot of tiny houses stay parked in one place even though they could move, but Felix and Selima wanted to go adventuring, and we can see that they have! 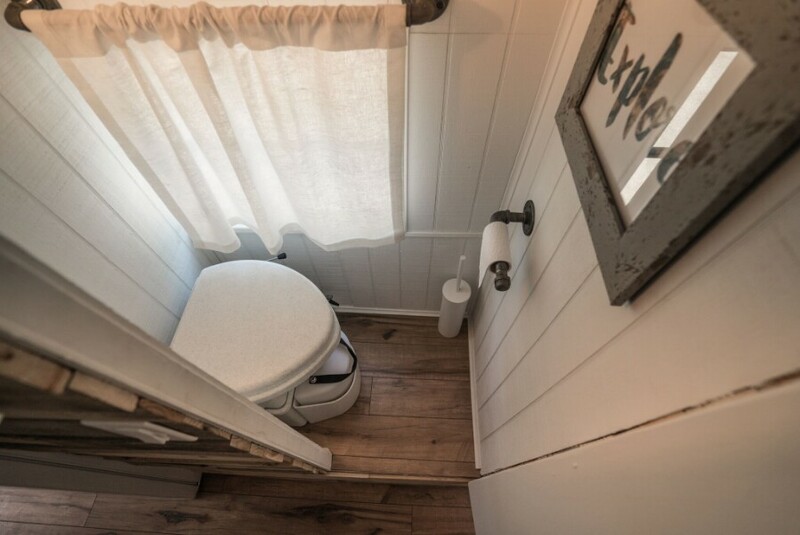 Even the bathroom in this tiny home is a dream! Be sure to visit Expedition Happiness’ link below. Felix and Selima sunk a lot of money into their school bus and now need help funding their travels. 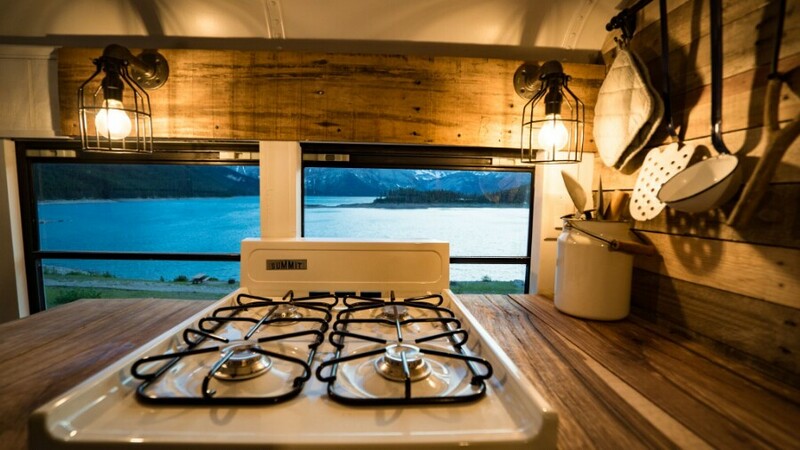 In return, they will be posting regular travel vlogs of their experiences on the road in their wonderful tiny house. Donate more and they will send you handwritten postcards! Do you have the plans available for sale? I want this house! Love what you have done. Know what I love best about this? The clean lines and colors. No tacky upholstery or that old ‘orange mushroom’ look, just fresh white and wood. 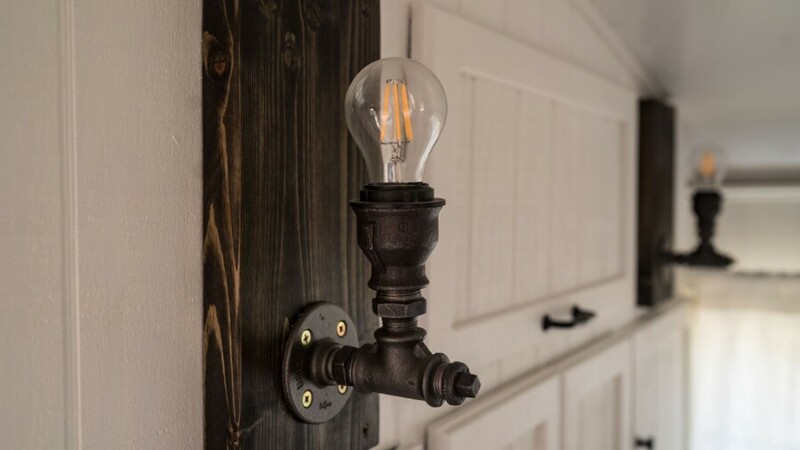 This is really nice! Congrats on a job well done – I wish you safe travels! Yes it’s one of my favorite also! 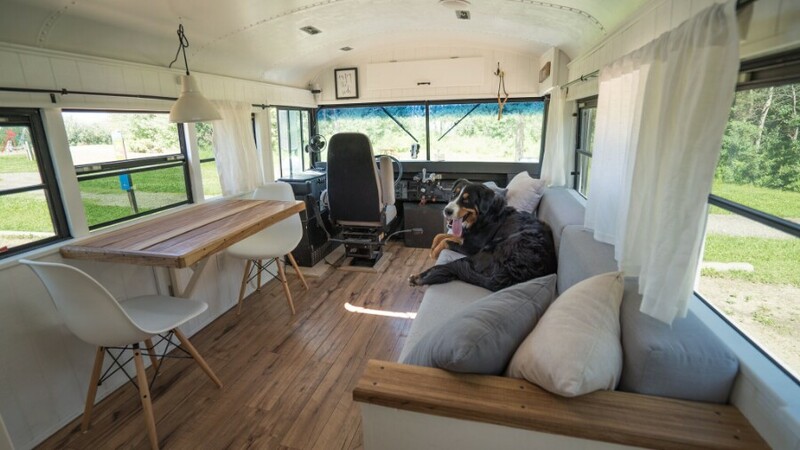 Come by Scotsburn, Nova Scotia with your home bus. Show everyone what you did and we will cook you up some great food, stay for a visit, wash your clothes……. This is really beautiful. Are you willing to provide the plans, if any? i wanna do the same thing!! great work guys!! !